the fairways are looking good now…………. 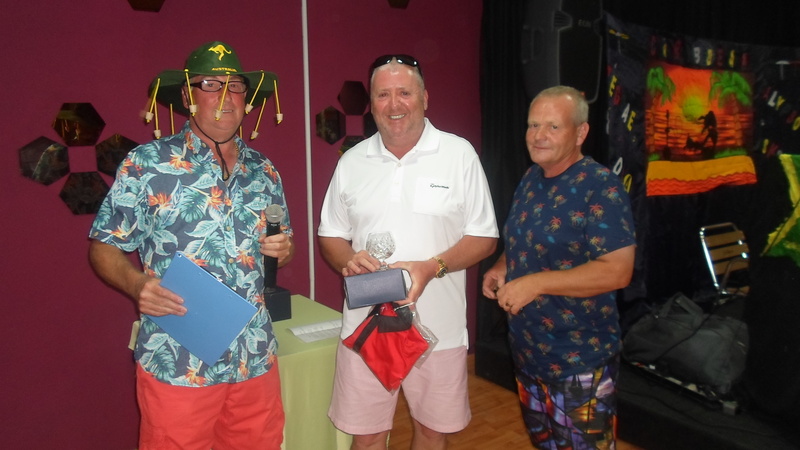 This week we had 25 pairs playing in a stableford competition, and the winners had a score of 50 points made in the worst conditions, going out last. The greens have come on very well in the last 7 days, and the fairways are also looking good as the picture above shows. Michael & Roider were 14 under par…………..
Brita Hoymyr putts out on 12 with Joe McManus and Bernard West looking on…………. Next week is the July Apollo Air stableford. For the strokeplay major on July 18th contact bookings@cdagolf.com for a tee time, and events@cdagolf.com to book for the evening presentation at Copi Coy. 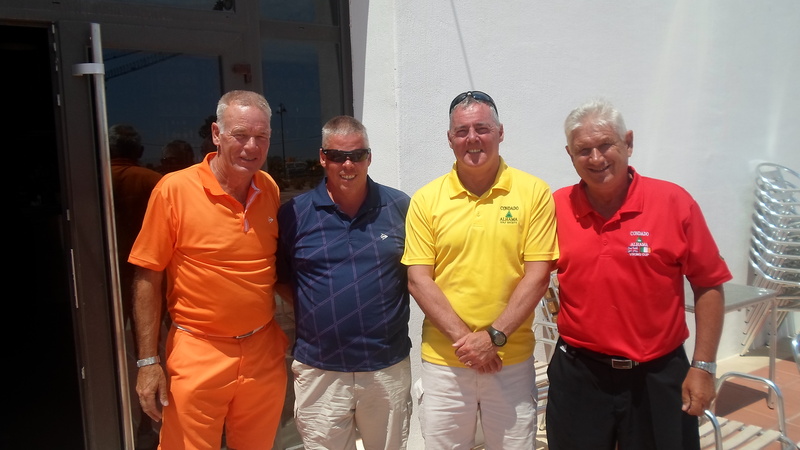 This weeks featured golfer is Terry Burgess. He is always wanting a shot back, but wins too often for that! He is originally from London which is probably the reason he is an avid Chelsea supporter. He now lives in Bristol with his wife Tina. 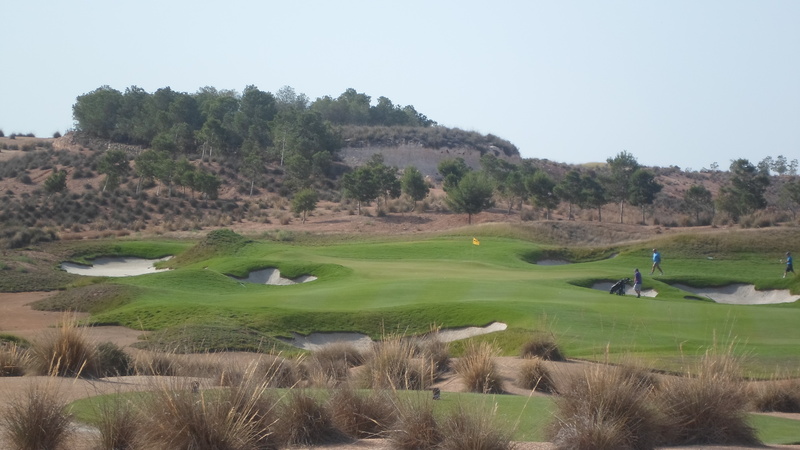 probably the most photogenic hole is the 3rd…………..
Another lovely day in paradise with 50 players taking part. 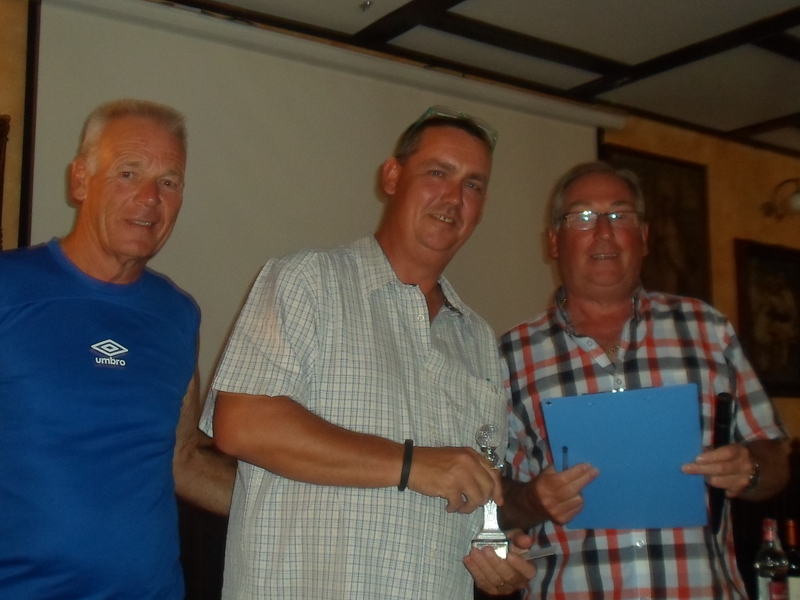 Neil Simpson continued his run of form to get a massive total of 44pts, pipping his coach Chris King by one shot. Neil says that the technique Chris showed him to get out of bunkers saved him a couple of shots and cost Chris the title! After much discussion between members of the handicap committee (which includes Neil by the way!) it was decided that his new handicap of 15.8 should be reduced to 15.4 due to general play – this will just put him in division one for at least a week in the next individual competition! Bad luck to Chris who had a total of 43pts and a gross score of 70, his first round under par. 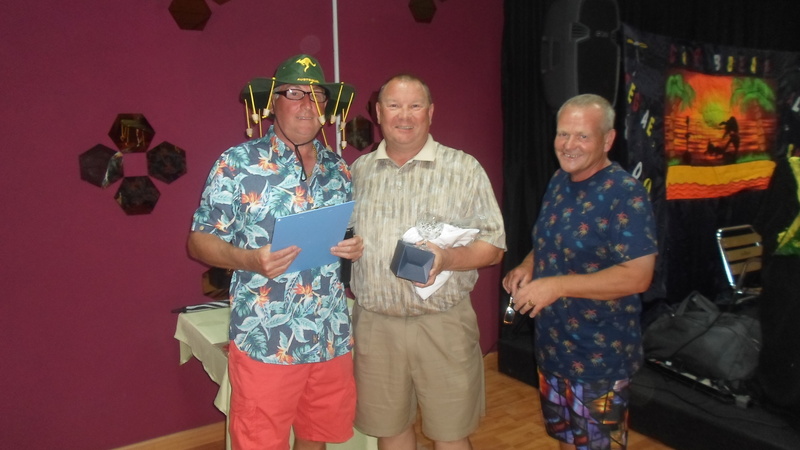 He had a great battle with Dave Lloyd in his own game, with Dave also having a fantastic score of 41 pts off his low handicap. Between them they had 11 birdies! 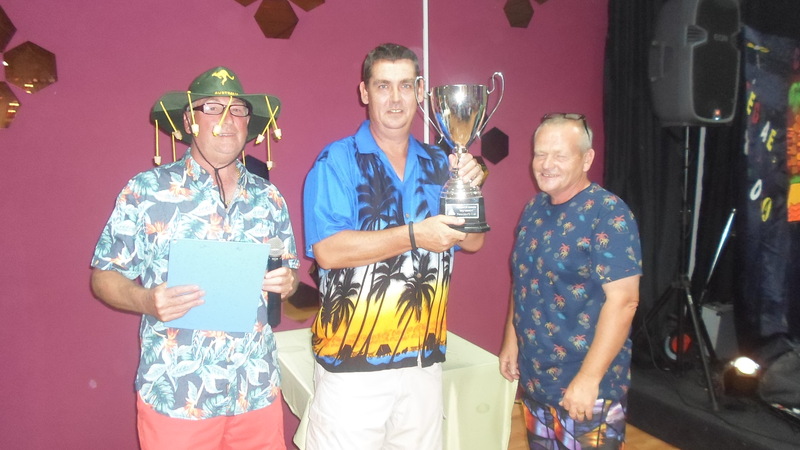 Neil wins again, but it will be harder next time off his new handicap………. Chris had a fantastic round……………..
Just thought it was about time to show some pictures of some holes which are looking good at the moment……………. 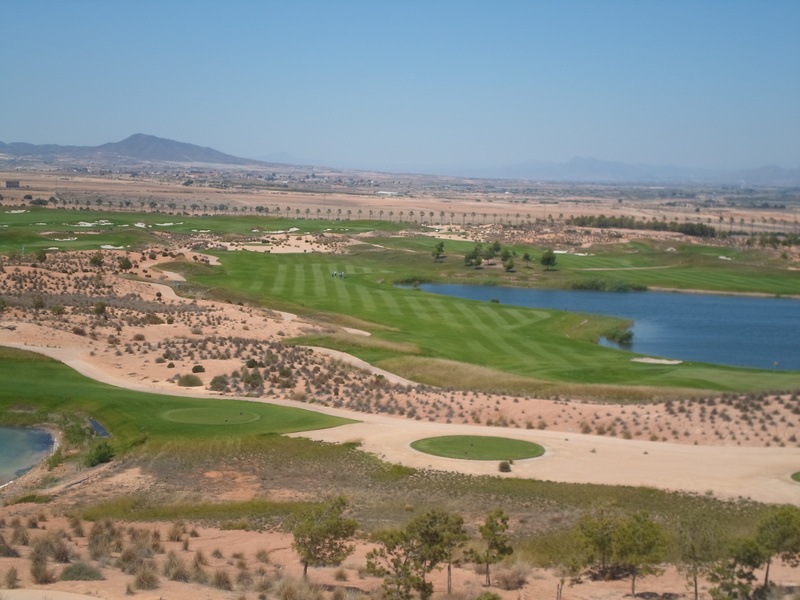 this is the long 2nd……………..
this is hole number 6 with the sierra espuna mountains as a backdrop………….. The winner of the monthly members draw this week was Jim Laird (no 191). Jim, please claim your voucher at bookings@cdagolf.com before July 21st. 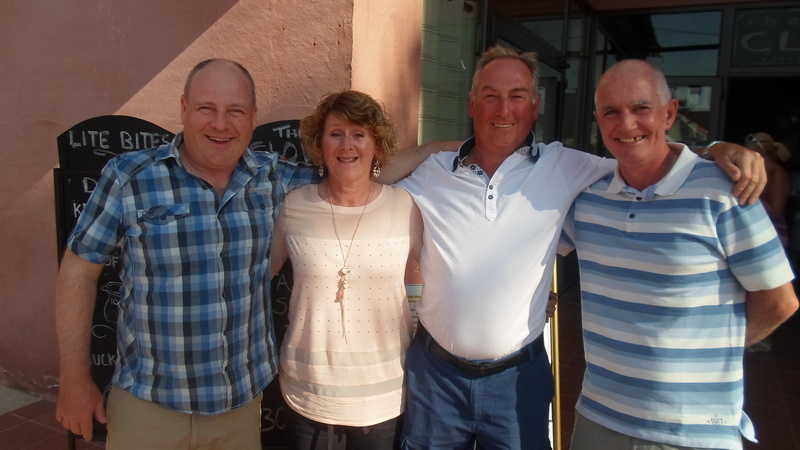 This weeks featured golfers are Benedickte and Helge Kristoffersen, who live in Bergen, Norway. Benedickte has just undergone surgery, so we wish her a speedy recovery and hope to see her back golfing soon. 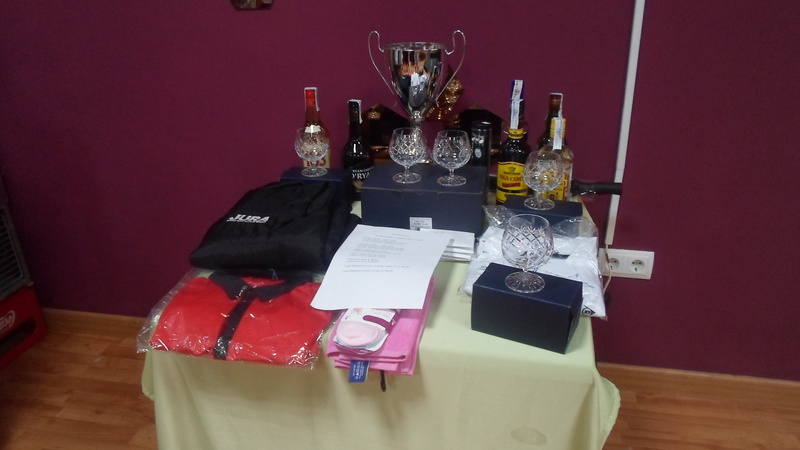 Next week is a pairs stableford competition. Quite a few players from oceana here at the moment so here is one for them……………..
Met this bloke with a digeridoo and he was playing ‘dancing queen’ on it. I thought ‘that’s aboriginal’. I went into a pet shop and asked for a goldfish. He sais, ‘do you want an aquarium?’. I said, ‘ I don’t care what star sign it is’. I went to the local video shop and asked if I could borrow Batman Forever. He said, ‘No, you’ll have to bring it back tomorrow’. I fancied a game of darts with my mate. He said, ‘nearest the bull goes first’. He went ‘Baaaah’, I went ‘Mooooo’. He said ‘you’re closest’. 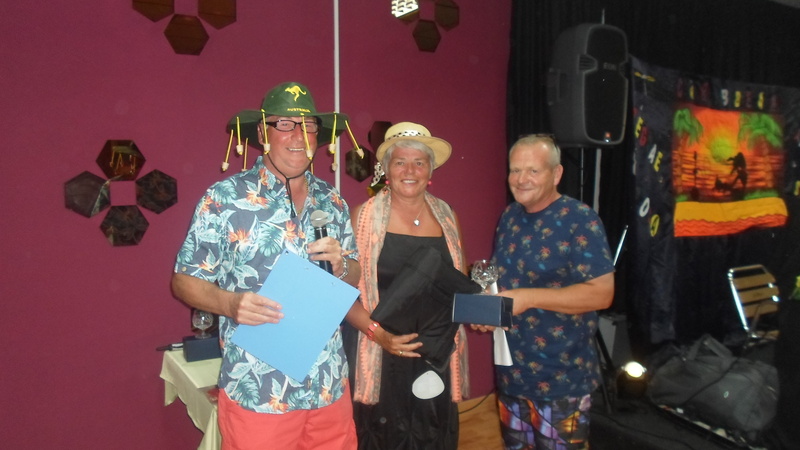 The winning team pictured below……………..
Nigel, Cherie, Dave and Robert………. A typical Condado golf day, with no wind to start but as usual it did get up. 56 players (13 teams) took part, with 2 scores to count on the first 6 holes, 3 on holes 7 – 12 and all players counting on the last 6 holes. Some good scores were returned, and the captain’s team came out on top. 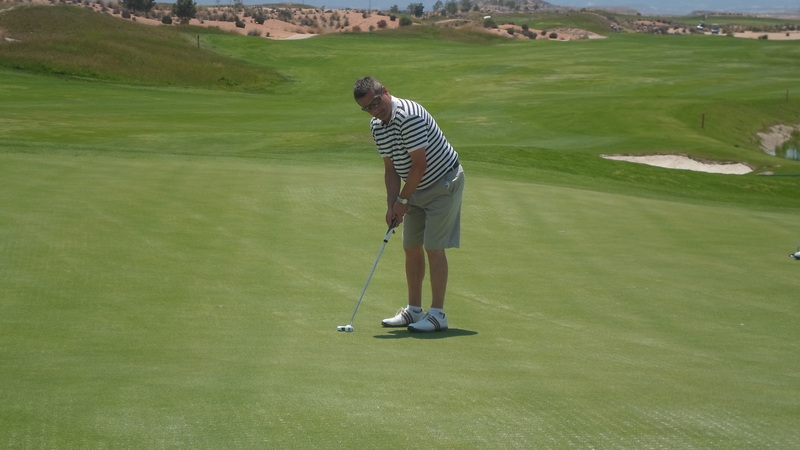 Nick Seward has a long tricky putt on 18……………………..
One of the winners, Nigel Myers is a doctor in Huddersfield. He asked if there was anyone from Liverpool in the bar who wanted their sick notes extending for the world cup! During his speech, Dave Rollett asked players to make sure their names are legible on the start sheet as we have problems deciphering the names. A wag in the crowd shouted out “I bet it was Nigel…. ” (can anyone understand a doctor’s writing?). 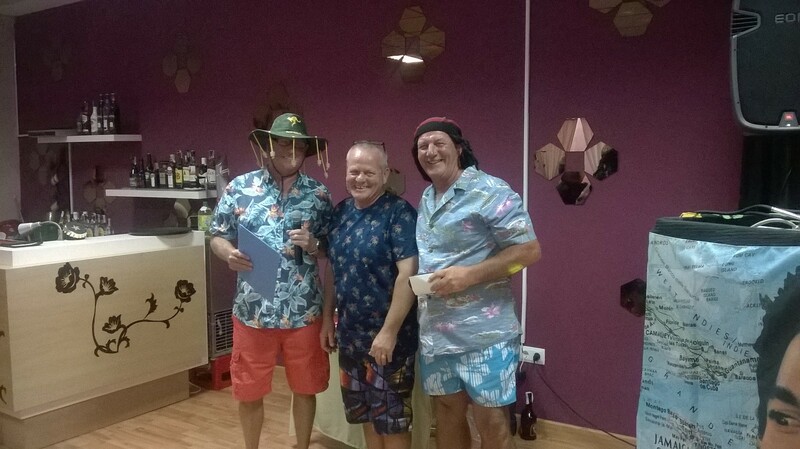 This week’s featured golfer is unusual in that he is a visitor…………but Rich Stephens from Bristol is seriously considering buying on Condado after his first experience of the signature course……..
Rich playing his 3rd to the ninth from close to the first fairway…………. Back on the short stuff………………….. I phoned the local gym and asked if they could teach me to do the splits. He said, “How flexible are you?” I said, ” I can’t make Tuesdays or Thursdays…………. I was reading this book today……the history of glue. I couldn’t put it down. I was in the jungle and there was this monkey with a tin opener. I said, “You don’t need a tin opener to peel a banana……..”. The monkey said, “No, this is for the custard………..”. 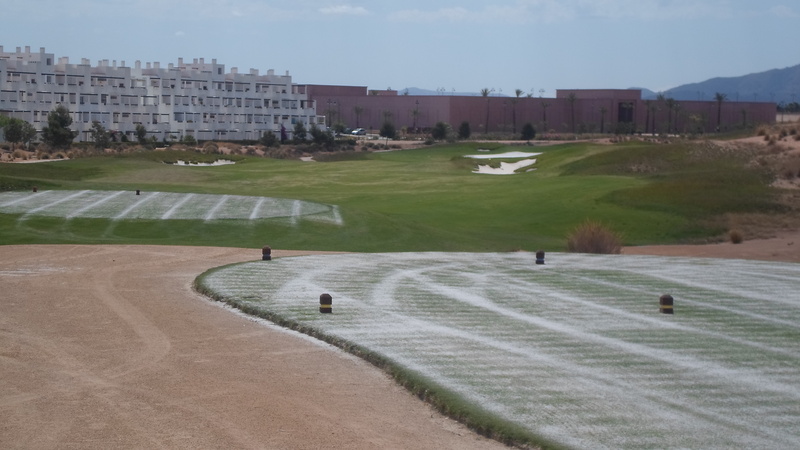 59 players played on greens which left a lot to be desired – lots of holes in them and tons of sand. This stopped putts running off the greens, but quite often the rows of holes made their own decision on which line your putt took. Still, there were lots of good scores which were in contrast to recent weeks when the greens were good! 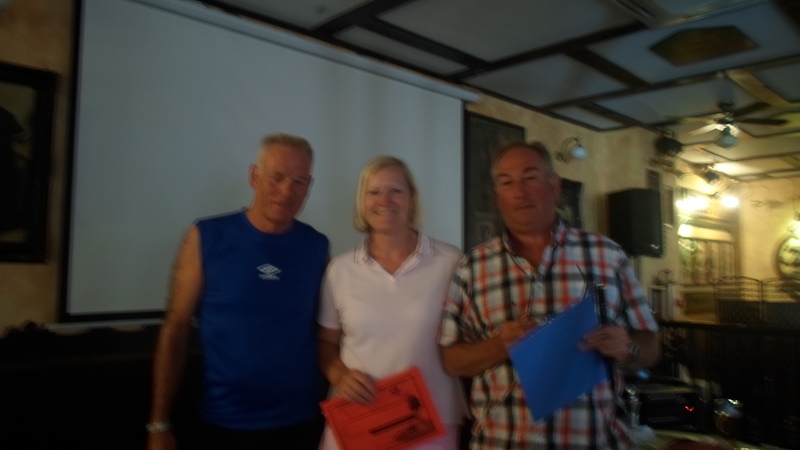 Some of the extra categories were thanks to Sissel and Borre Hagen who donated 20 euros towards the prizes. Karin Dahl was so close to the top prize but took the ladies…………….. 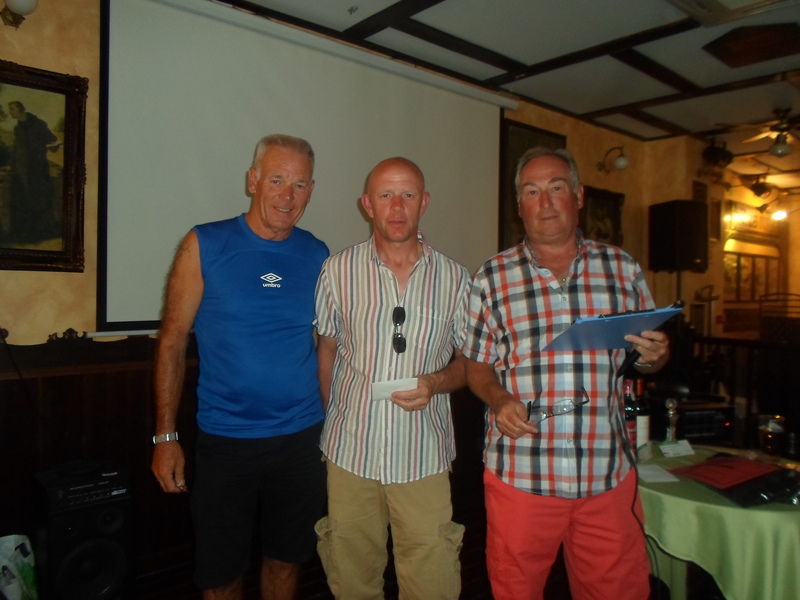 The organisers who did a great job……….captain Dave Rollett, president Kevin Smith and competitions organiser Dave Lloyd. 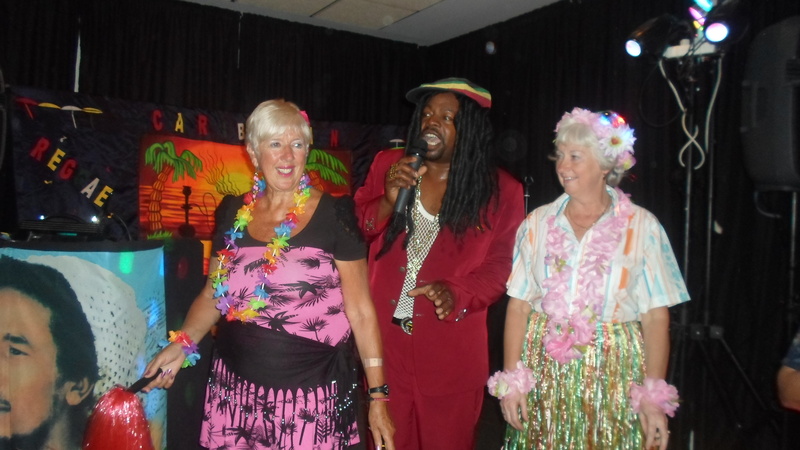 dress sense leaves a lot to be desired though……..
Barrington did a great job of involving the audience in dancing, doing the limbo, and fancy dress. 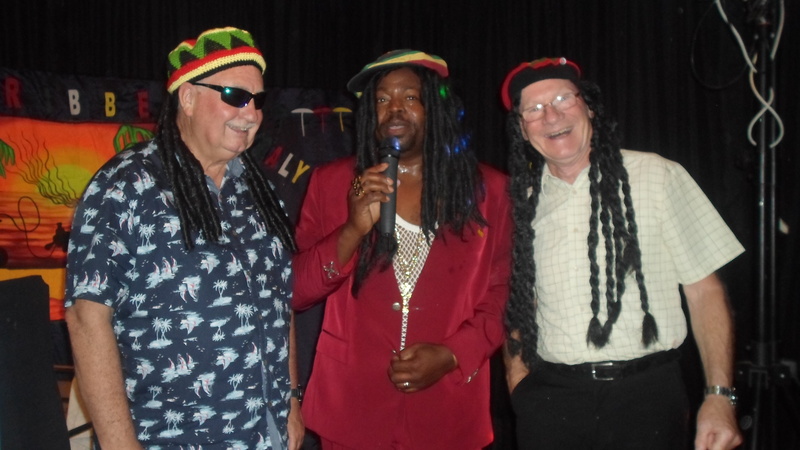 the 3 stooges………Barry, Larry, and Barri….ngton! 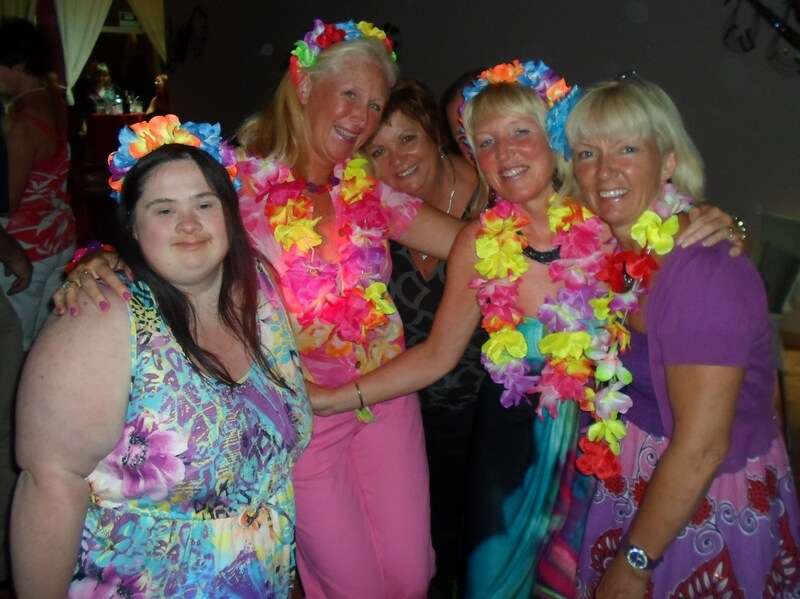 Larry seems to have pigtails rather than dreadlocks!…………………..
lots of colourful outfits for the ladies………. Next week is a 4 person team competition. It’s often necessary to hit a second drive to really appreciate the first one. There are two kinds of bounces: unfair bounces, and bounces just the way you meant to play it. You can hit a two-acre fairway 10% of the time, and a two-inch branch 90% of the time. 99.99% of all matter is empty space, but that last .01% will stop a golf ball dead. To calculate the speed of a player’s downswing, multiply the speed of his backswing by his handicap. Example: backswing 20 mph, handicap 15, downswing 600 mph. There are two things you can learn by stopping your backswing at the top and checking the position of your hands: how many hands you have, and which one is wearing the glove. It’s a simple matter to keep your ball in the fairway if you’re not too choosy about which fairway. With the course closed at Condado 38 players took advantage of the free bus and played an individual stableford in lovely weather. Only 2 players beat par on a course which was not kind with the slope allowance – much reduced from our home course. 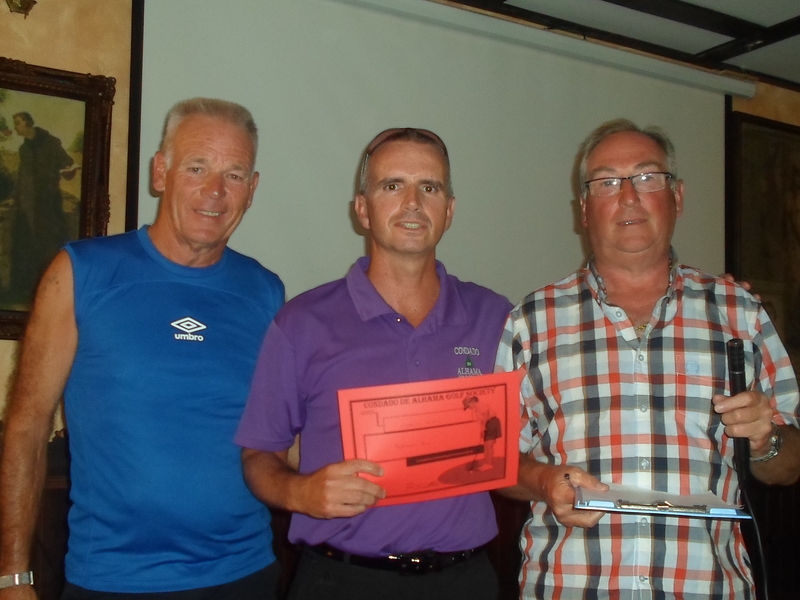 Peter Mitchell struck a blow for the over 70’s, coming home with an excellent score of 39pts to take the first prize of a voucher for 2 players on any of the 6 trail courses, kindly donated by IRM. 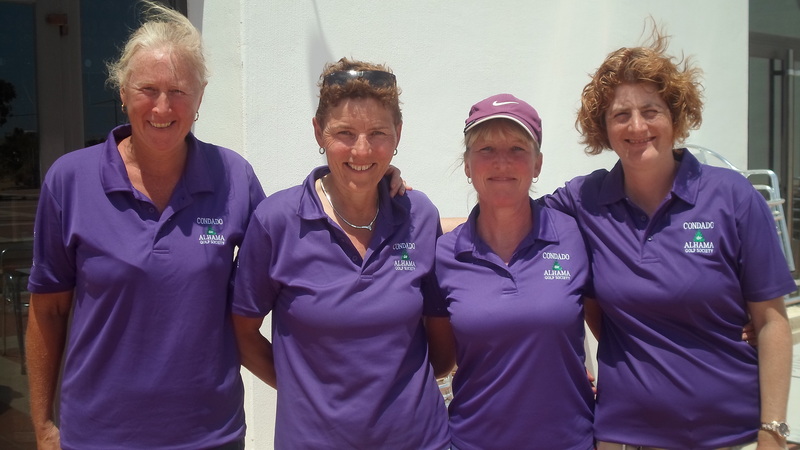 the four girls followed the dress code for the day……….society team shirts……. Well the men easily get confused……. these rebels look like 4 parrots from the cast of Rio………..
With Graham in orange and Eddie in the money it was a case of Tango & Cash………………. Thanks to Dave and Kim Lloyd, who did a fantastic job of organising the day, leaving the golfers with nothing to worry about (except their swing). Alicia also was involved, so thanks again to all. A reminder of the rules regarding the lakes – if your ball enters the hazard on holes 4 and 5 you MUST take a compulsory penalty drop at point of entry. If you go onto the link for members at the foot of the blog, there is also a link to the handicap list. It may not be quite up to date, but gives a good indication of all members society handicaps. 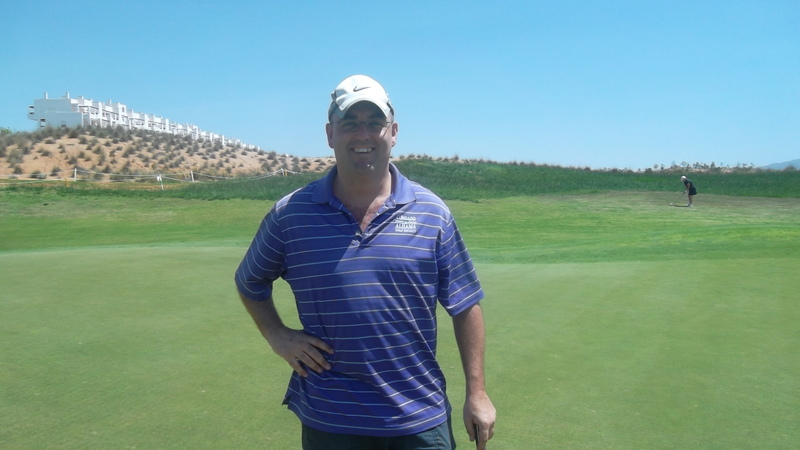 This week’s featured golfer is Anthony McNally who is from Northern Ireland. He has been a regular visitor to Condado since the course opened. Anthony on his last visit to Condado………. Never leave your opponent with the sole responsibility for thinking of all the things that might go wrong with his shot. Taking more than two putts to get down on a lightning-fast, steeply sloped green is no embarrassment unless you had to hit a wedge between the putts. Always limp with the same leg for the whole round. Nothing straightens out a nasty slice quicker than a sharp dogleg to the right. The shortest distance between any two points on a golf course is a straight line that passes directly through the centre of a very large tree.